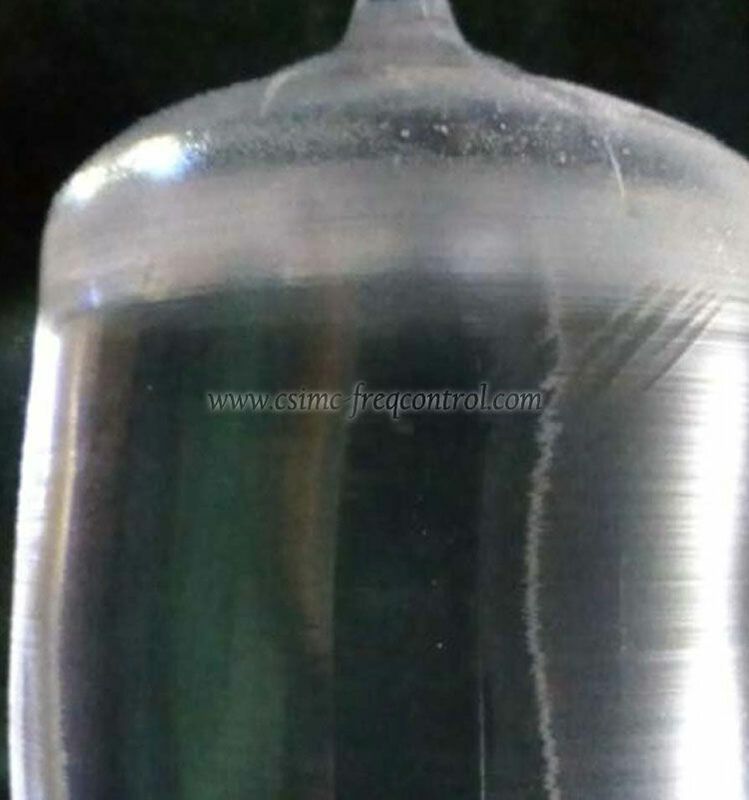 1.The autoclave is filled to some predetermined factor with water plus mineralizer (NaOH or Na2CO3)2. The baffle localizes the temperature gradient so that each zone is nearly isothermal.3. The seeds are thin slices of (usually) Z-cut single crystals. 1. The autoclave is filled to some predetermined factor with water plus mineralizer (NaOH or Na2CO3). 2. The baffle localizes the temperature gradient so that each zone is nearly isothermal. 3. The seeds are thin slices of (usually) Z-cut single crystals. 4. The nutrient consists of small (~2½ to 4 cm) pieces of single-crystal quartz (“lascas”). 5. The temperatures and pressures are typically about 3500C and 800 to 2,000 atmospheres; T2 - T1 is typically 40C to 100C. 6.The nutrient dissolves slowly (30 to 260 days per run), diffuses to the growth zone, and deposits onto the seeds. 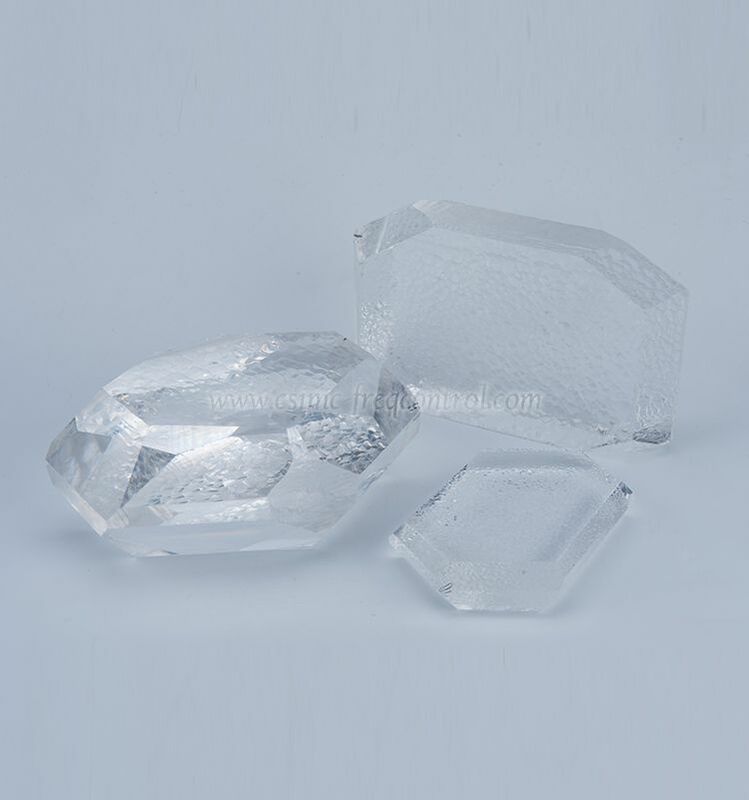 a) The amount of crystal defect and impurity in synthetic quartz crystal depends on growth rate, mineralizer and raw material. The growth rate affects greatly to the important properties such as infra-red absorption coefficient α, which correlates to Q value, and frequency –temperature characteristics. The larger growth rate causes increase in α, decrease in Q value, and dispersion in frequency-temperature characteristics. 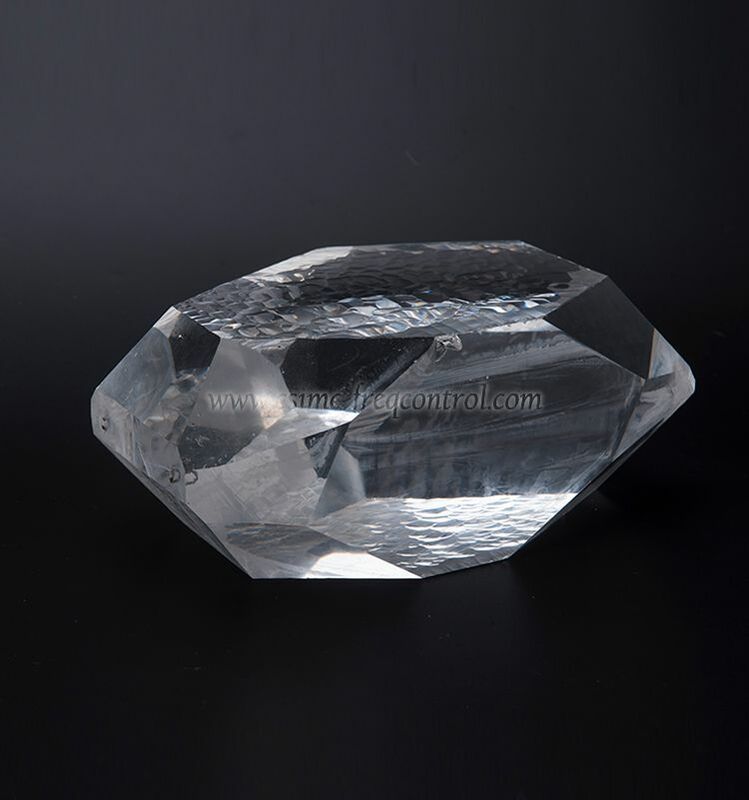 b) The quality index of synthetic quartz crystal was originally a Q value, and a 5 MHz quartz crystal unit operated in 5th overtone mode was used to obtain the Q value. But it required laborious work to fabricate the 5 MHz crystal unit, so the index had been changed to the coefficient α instead of the Q value. a) Twinning: There shall be no electrical or optical twinning in the usable region. b) Strain: There shall be no strain contained both inside and surface of seed crystal as well as in a grown quartz crystal. c) Cracks and fractures: There shall be no cracks, chippings or fractures in the usable region. 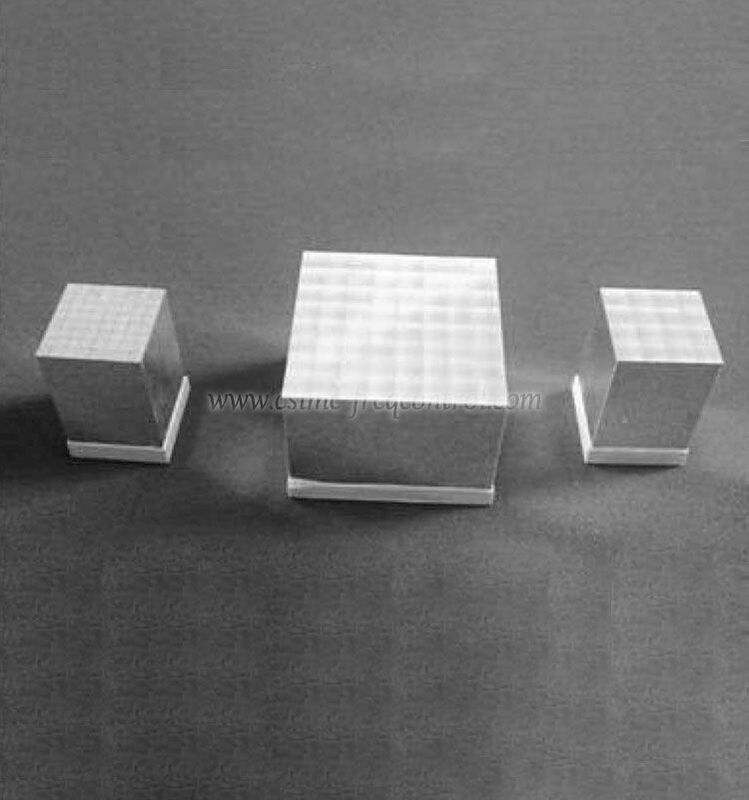 d) Inclusion density: The specification is in accordance with the IEC 60758.
e) Infra-red quality indication: The specification is in accordance with the IEC 60758.
f) Etch channel density: The specification is in accordance with the IEC 60758.
c)Surface roughness: as customized, lapped and polished are both available.